The legendary Everest stand in the border between Tibet and Nepal, the highest mountain on earth attract adventurous minds all around the world to come join climbing expedition and trekking. The trek to Everest Base Camp is still an epic adventure will full of fruitful experience, here are my top 15 things I love about this trek. Thrilling flight above the hill country and into the mountain brings you to Lukla, one of the most dangerous airport in the world. From the airport we can see many small planes with limited capacity about 20 people max, planes arrive and departure frequently in just 10 minutes like a bus station! Sherpa are famous on their mountain experience, there is a village called Phortse has more than 50 of them who has submit Mt. Everest more than once. 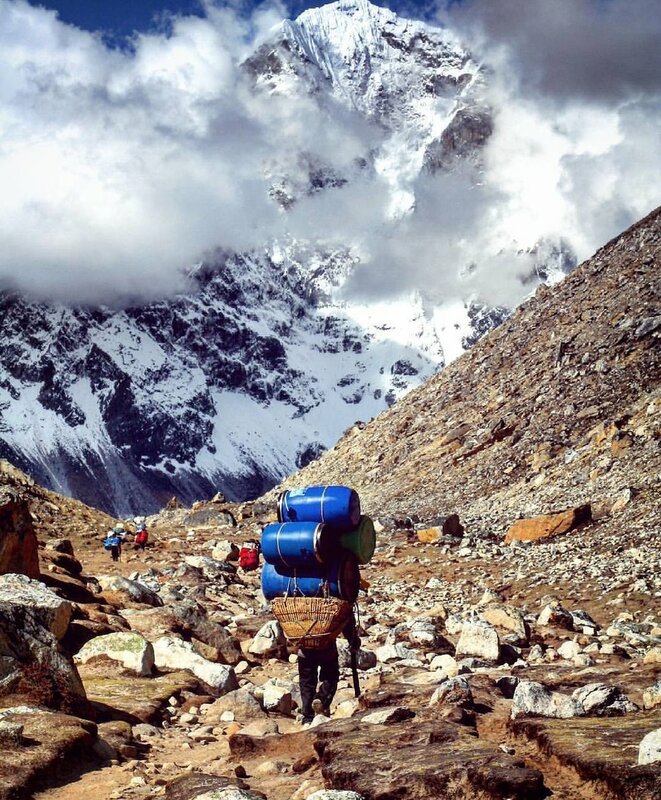 But the Sherpa people we meet on the trail are porters who carry so much weight than normal people do. Namche Bazar is the largest city of the Sherpa where the street is lively with shop, café and restaurants and hotels are various in their level of comfort, some with amazing view of the mountain that we can do meditate. It is a good place to get proper acclimatization before going higher up and relax after going down, hanging around the bar you may hear good stories of people who did the climb. It’s been a luck to spot Nepal National Bird in early morning walk to Everest View Hotel even in a far distance. 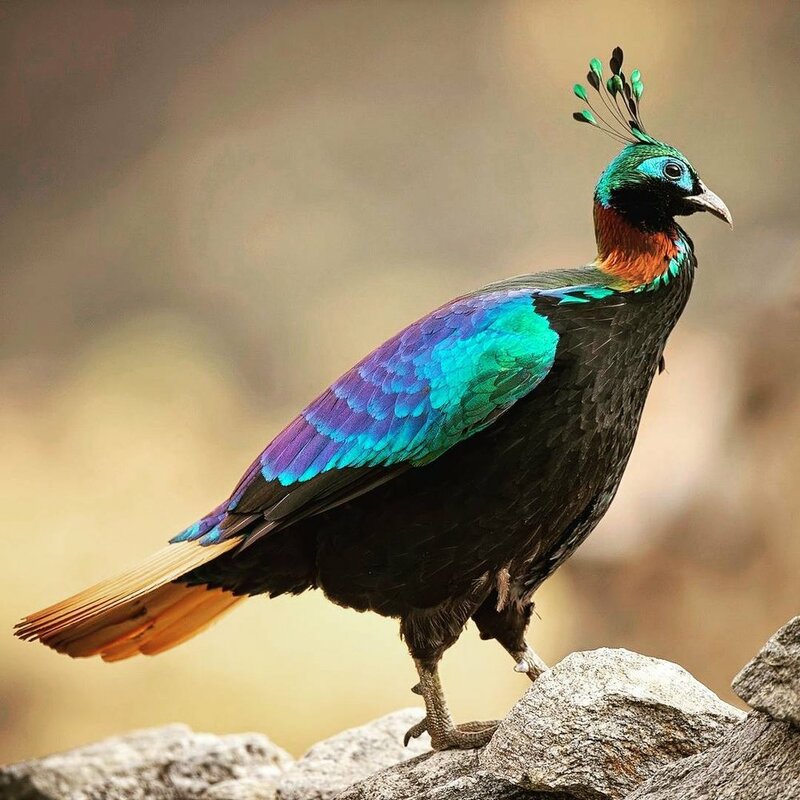 Beautiful and Colorful bird standing in the first sun light of the day make the whole hill alive. Whenever hearing the sound of the bell there are sign that Yaks caravan are coming just stand on the mountain side! Yaks are everywhere on the trail and being used to transport food, gas between high mountain valleys or helping the farmer on the field. Standing among the most iconic and beautiful peaks in Nepal, Ama Dablam (Ama = Mother, Dablam = Children) look like mother holding her child. 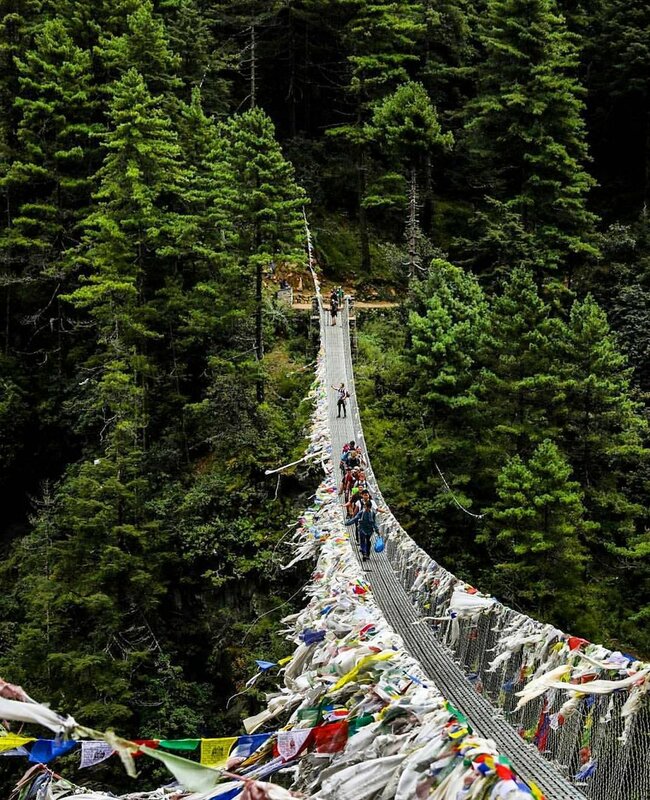 Trail to Everest Base Camp offer many faces of this mountain. Join the monks on their prayer ceremony in Tengboche monastery, some singing while other blowing horns, playing drums in the same harmony written in the prayer books. The monastery lighten up with candles, the sound of the prayer enter into our mind, a journey into the mind for hours. Toilet in the mountain is not really in a comfort but with a such a view? There are more than 223 people have died trying to climb Everest and stayed on the mountain forever, memorial stupas were built for them. Ever heard of Scott Fischer? renowned for his ascents of the world's highest mountains made without the use of supplemental oxygen, he stayed there after the disaster of Everest in 1996. The Everest Base Camp is no doubt one of the best trail bring you right in to the heart of amazing mountain scenery, this whole journey is epic! The Base Camp on it’s busiest occasion in Spring Time when mountaineers are waiting for the right time to attempt the submit. 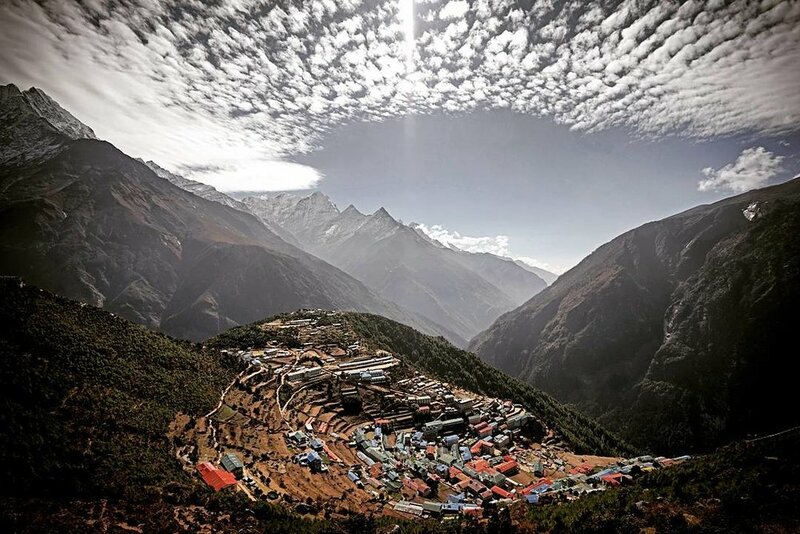 There are tents, hundreds of it built on top of Khumbu glacier where sometimes we can spot water smelting out. Leaving the lodge in GorakShep from 4.00 AM in the moring where there are many other lights join us on the toughest hike of the journey, can’t remember how many steps I have count on the ascents. When the first sun rays of the day appear on the mountain, the color of the sky are changing from dark to lighter blue, it light up the some of the highest peaks in the world standing right in front of us: Mt. Everest, Mt. Lhotse and Mt. Nuptse.